I want to share with you a whole brain activation technique that I learnt from a Baba in Goa. A Sādhu or Baba is the name for a holy man in India. They lead a very simple life shunning the complexities of modern life in favour of a spiritual path. 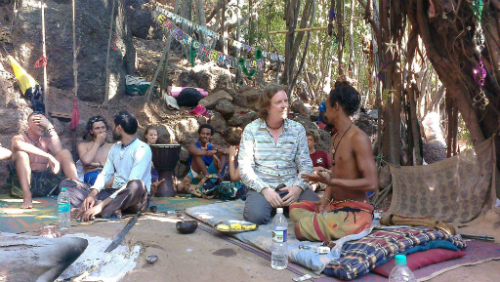 Most of the people who trekked through the jungle to see the Baba, brought him a gift (food and drink that he shared with everyone), then they sat there for a few minutes and left without speaking with him. Baba doesn’t talk unless you ask him a question, but when you do ask him a question he will talk and has many answers for you. I spent a considerable time talking with him (five hours), asking him questions, talking, sharing ideas and even doing some NLP with him! Now I want to share this simple exercise with you. 1) First you close your left nostril with one finger and breath in through the right nostril. 2) Then you close the right nostril and open the left and breath out through the left nostril. Once you have fully exhaled, breath in through the left nostril. 3) Then close off the left nostril and breath out through the right nostril, and breathing in through the right nostril, swap sides again repeating for 15 to 20 times. Baba explained that sometimes when he wakes (before dawn) he still feels he is half asleep and that this simple breathing technique wakes up the both sides of the brain. Breathing through the right nostril activates the left side of your brain, and when you switch to the right side you activate the left side of your brain. This whole brain exercise is one designed to really wake you up for the day. I know because I’ve been doing it when I wake, to fully energise and wake me up. Fifteen to twenty times in the morning is enough to blow away the cobwebs and wake you up right up for a more productive day. For thousands of years Indian Baba's believed that many diseases are connected to disturbed nasal breathing. These easy to do, simple breathing techniques, Pranayama is Sanskrit, prana, meaning "life force," and ayama, meaning "extension." 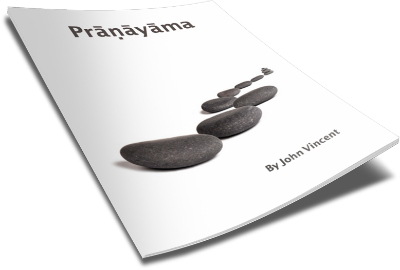 Download my Prāṇāyāma (Alternate Nostril Breathing) guide and find out why I’ve incorporated Prāṇāyāma into my daily morning routine. Thanks for this. I was honestly laying here in bed thinking – I am so groggy. Have clients on the way and man, do I not want to get up. So I grabbed my phone to check my email. Yours was the 3rd one down. Lucky me. I’m up now. Wide awake. It really works. Thank you for yet another pearl of wisdom. You never fail to deliver. It’s such a good technique and really works… also it was great fun learning it from the Baba. I work nights and when I wake its already time to prepare for my shift. I’ve felt groggy and foggy repeatedly; I decided to check my emails prior to my daily preparations and I found this email. I have briefly used this and results were very helpful. I feel clear and open to giving and receiving throughout the day. Thanks a lot. I have been into this Pranayama for the last 6 months and definitely, there is a certain calmness in me now, where as earlier, i was a little grumpy most of the time. I also do ‘SUDARSHAN KRIYA’ develoed and taught at ART OF LIVING’ centers across. ‘Doing Sudarshan Kriya’ at least 3/4 days in a week helps in releasing toxins, and improving ina number of ways. Thanks great to hear about your positive results with Pranayama. 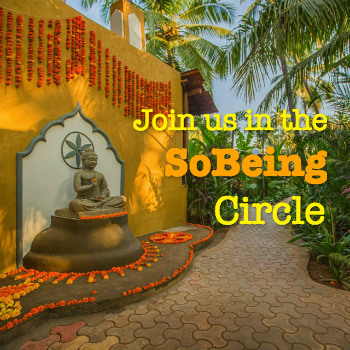 The Art of Living centers are doing some amazing work. You are bringing us one BIG step further. Excellent awakened day to you. Thanks john have been using different breathing but not this one, so will add it to my routine. This is an awesome article and very useful to everyone who are looking for a better life in the world. Thank U, Thank U, Thank U so much. May the Universe bless U with everything. Thank U again – With warm wishes and retgards – KK Ramachandran, Coimbatore, India. This is something that sets me up for the day ahead. I have this foggy feeling in the morning and it takes me hours to get alert for my day schedules. But i think i have finally found the key to unlock the door to start my day on full gear. Thank you so much for this document John, I’m sure this technique will help me to develop my brain function and also my life style, I have no words to thank you because I’m getting lots of positive vibration from you. Its an amazing way to start the day, glad you enjoy. I consider your work a yeomen service to humanity. Wished many would read your blog and get the best of them. Thank you so much You and Neeraj are wonderful God sent beings. Great work, keep it up. I love anything you can do for yourself and I love breathing lol I notice that my right nostril seems a little blocked, not as much air getting in. I do breath right down to my belly though so it is a big breath when I do it. Thank you for sharing. Learnt of this through yoga but didn’t know the full benefits. Will definitely make it a daily routine.